How much are closing costs in New York? Unfortunately, the average closing costs in New York for buyers will depend on many different factors, but this article seeks to shed some light on the process. New York City real estate closing costs are one of the substantial parts of the overall cost of the deal, homebuyers should keep this in mind when planning to buy a house, co-op or condo. Real estate attorney fees for closing are an additional cost to consider. The exact fees will vary by lender and the type of property you wish to purchase (house vs. co-op vs. condo). Prior to closing, lenders are required to detail all closing costs on an initial loan estimate when you apply for the loan. This is known as the Loan Estimate. Lenders must also update their closing costs estimate a few days before closing occurs and disclose them on the Closing Disclosure. This way, you will always have the opportunity to know what your closing costs will be before the closing actually occurs. Real Estate Closing Costs in New York – What Are They? Let us first examine the seller’s side of the transactions. Among other things the seller generally pays for realtor’s commission and transfer taxes. Realtors generally charge anywhere between four to six percent of the purchase price. While a seller might be tempted to go with a lower end of the spectrum realtor, remember “you get what you pay for.” This past summer I assisted a client in selling her Bedford-Stuyvesant multifamily brownstone. The seller had hired one of the best realtors in the area. The brownstone sold for way above asking price and over $500,000 more than a similar brownstone which sold several months earlier on the same block. While the seller might have paid one or two percent more to the realtor, the price increase alone was well worth it. The other major fee that is incurred by a seller during a real estate transaction is New York City and New York State transfer taxes. New York City transfer taxes depend on the type of property you are selling but generally for residential properties are 1% if the sale price of the property is $500,000 or less and 1.425% if the sale price is $500,000 or more. New York State charges the seller $4 for every $1,000 of the sale price. Additionally, a seller might incur a Capital Gain tax at the conclusion of the tax year but that discussion is better left to a C.P.A. Generally, a purchaser will incur higher costs than a seller during a real estate transaction. If a purchase requires a mortgage, most counties in New York State will charge a mortgage recording tax. In New York City, the mortgage recording tax is based on the mortgage amount. If the mortgage amount is less than $500,000 on a residential property, the tax is 1.8% of the mortgage, if the mortgage is $500,000 or more than the mortgage recording tax is 1.925%. Additionally, a purchase price of the property is $1,000,000 or more, the buyer will pay New York State’s mansion tax, which is 1% of the entire purchase price. The other big expense that is incurred by the purchase is title insurance fee and mortgage insurance title fee. Both fees are controlled by the purchase prices. There are other bank and title fees which may be influenced by an increase in the sale price, but generally, the ones previously listed have the biggest impact to be considered. As explained above, the Loan Estimate is a document that includes the breakdown of the approximate payments due upon the closing of a mortgage loan. As the outline is simply an estimate, the actual closing costs could be either lower or higher at closing, but the outline is always reasonably accurate. The most commonly incorrect estimates are those for third-party services such as home inspection fees and moving fees. The Closing Disclosure is a real estate document required by the government to itemize all of the charges imposed upon the parties. Due to the amount of information it contains, it is one of the most important documents of the closing process. Once you receive the Closing Disclosure from the lender, it is highly recommended that you review the Closing Disclosure with an attorney because of its complexity. Generally, a real estate lawyer NYC will walk you through the document and explain each item. You will need the trained eye of an attorney to spot any errors made by the lender. As explained above, the amount estimated by the Loan Estimate is generally pretty close to the amount contained in the final Closing Disclosure. 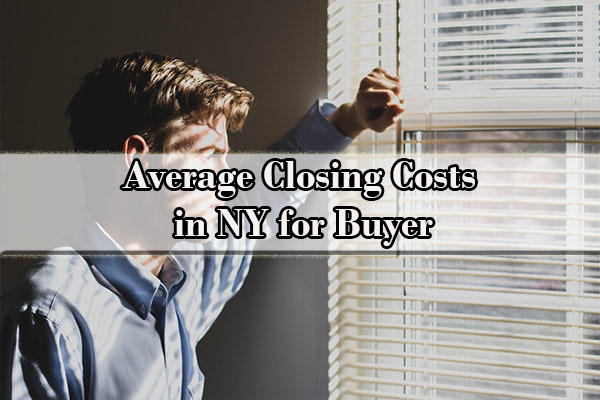 Average closing costs in NY for the buyer are between 1.5% and 5% of the purchase price. 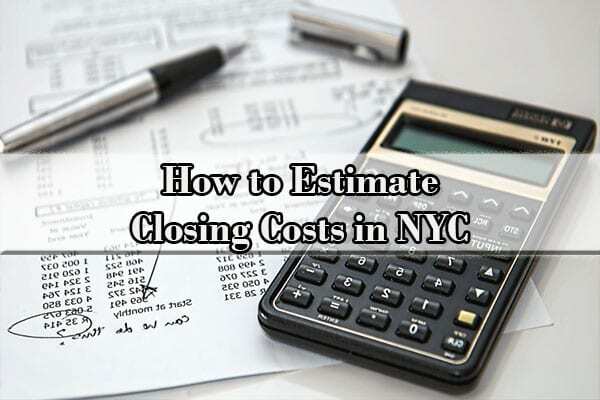 How much are closing costs for the seller in NY? Unfortunately, they are slightly higher that the costs for buyers, ranging from 8% to 10% for sellers. Simple mistakes in the property sale negotiation or filling out paperwork could cost thousands of dollars. Having an experienced real estate attorney by your side is important at all stages of the real estate transaction, but having legal counsel at closing is crucial. Real estate broker commission: 5-6% of the sale price. Title search fee: This fee is related to securing good legal title on the home and is generally nominal. Home inspection: sometimes this is required. The purpose of a home inspection is to identify any defects in the home that need to be corrected prior to closing. The job of a home inspection of to poke around the deepest and darkest corners of the home to search for mold, rot, and termites that the buyer probably did not discover during the purchasing period. Generally, home inspections will cost between $100 and $500. We strongly suggest that you order a home inspection before closing as it is the buyer’s final chance to discover any hidden problems with the property. If you discover a defect during inspection, it could allow you to further negotiate the final closing price. Homeowners’ insurance: in general, homeowners’ insurance will help ensure your property investment is protected. Many lenders will require you to place some amount of money into an escrow account to cover the cost of monthly homeowners insurance premiums just in case you ever run into financial trouble and cannot pay. Prepaid daily interest: if you are closing on your home in the middle of the month, you may need to pay interest covering the days until your first full month in the home begins. Property survey: this is intended to evaluate the property border line so that you know what the property’s legal boundaries are. This is important to insure that the location of fences and walls are proper and identify the locations of municipal gas and water lines. Generally, this costs between $100 and $400. Property tax escrow: generally, your lender will require you to place a sum of money into an escrow account prior to closing to cover property taxes for at least a month so that in the event of a mortgage default, the bank can continue to pay property taxes for you. Transferring agent fee: This is essentially a paperwork fee, as transfer agents are responsible for the preparation, processing, and distribution of the necessary paperwork required in connection with the transfer of ownership. Misc. condo closing fees: like co-op purchasing, there are a variety of small fees associated with condo purchases, which normally vary anywhere between $200 and $300. Overwhelmed by the complexity of calculating these various charges? Several online services can roughly calculate real estate closing costs utilizing a closing cost calculator NYC, but be aware that any NYC closing cost calculator provides a mere estimate of your closing costs to properly manage closing, you will need to hire an NYC real estate lawyer to help you negotiate down fees and ensure that you are not getting a bad bargain. Generally, the closing will occur between 60 and 90 days after the contract is signed (things tend to move a bit slower in NYC, so assume that closing will occur closer to 90 days after signing). After the signing, the buyer must send the seller’s attorney a down payment. If the buyer walks away from the contract before closing, the buyer could lose his or her down payment unless the buyer has a justified reason, such as a mortgage contingency clause. Typically, down payments in New York state average around 10% of the purchase price, which is placed in an escrow account. Between signing and closing, your attorney will need to complete several tasks in preparation for closing. First, your attorney will order a title report to determine if there are any issues for the sellers to resolve before closing. The most common outstanding title issues are unsatisfied liens or property violations. Discovering and resolving title defects is critical to ensuring that your purchase is legally secure. Reliance on experienced real estate attorneys is crucial at this stage because the consequence of a mistake could be losing your home without warning in the future. Next, your attorney will work with you to complete any paperwork requested by the lender and deliver any documentation required. After that, your attorney will help you calculate the amount that you will owe to the sellers at closing. Additionally, your attorney will help you determine how much you will owe to any applicable lenders, the title company, and any other third-party entities involved in the transaction (such as co-op boards). Finally, on the date of the closing, your attorney will represent you and ensure that all of the documents you need to sign such as the deed, transfer tax returns, and mortgage documents, are all in order and state what you had agreed to previously. You will also need to tender payment at that time. Real estate closings are very technical procedures, especially in NYC where there is are a lot of additional requirements and local real estate transaction customs. Many different aspects of the real estate transaction process will be foreign to an attorney who does not practice real estate law, which is why it is so important to hire real estate law focused professionals. The experienced real estate lawyers at the Law Office of Yuriy Moshes, P.C. will walk you through the deal and ensure that everything is correct and no issues persist. Are you considering buying or selling property? Have you already begun the real estate transaction process and need advice on how to proceed? 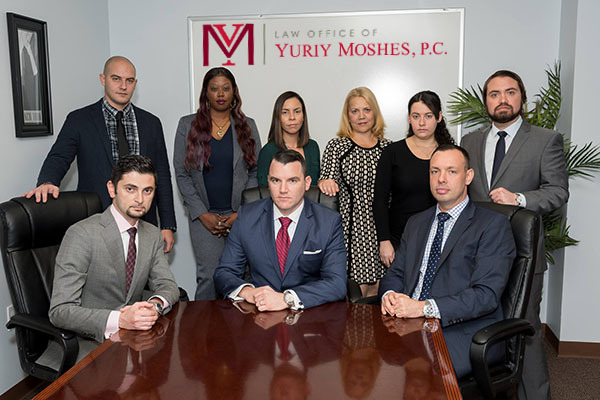 At the Law Office of Yuriy Moshes, we assist clients who buy or sell property in the greater New York City area including all of its boroughs (Manhattan, Brooklyn, Queens, the Bronx, and Staten Island) as well as Northern New Jersey, Long Island, and Upstate New York.